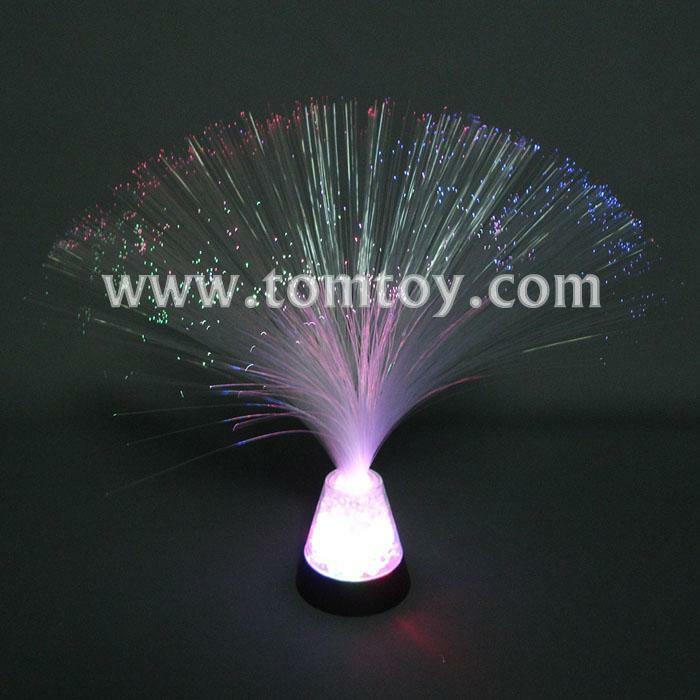 1.Fiber-optic lamp can be used as a table centerpiece or a party decoration. 2.Contains multicolor LEDs that illuminate colorful crystal rocks in base and fiber-optic fibers on top. 3.Black base helps make lamp appear in low light to be floating in midair. 4.Runs for up to 20 hours on three AAA batteries.